Forest Gardens are living laboratories for action based community research into future food systems, that create a rich context in which to explore and inspire our relationship to the ecology of the plants on which we depend. Not only will Forest Gardens contribute to re engineering local food production, they are helping us renew our relationship with the land. 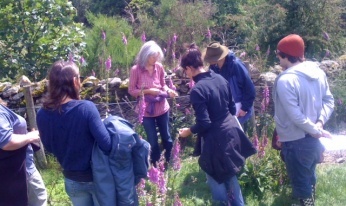 Riversmeet has initiated this network of over 80 Forest Garden Practitioners that links sites throughout Cumbria and beyond.